I-75 at SR 64/Manatee Avenue Interchange (Exit 220): Construction project: Crews are currently widening northbound and southbound I-75 and performing ramp, grading, and drainage work. Next week crews will be shifting traffic to a new traffic pattern. On Monday, May 14, during the nighttime/overnight hours of 10 p.m. to 5 a.m., weather permitting, WESTBOUND SR 64 travel lanes will shift to the temporary lanes constructed toward the outside of the road. On Wednesday, May 16, during the nighttime/overnight hours of 10 p.m. to 5 a.m., weather permitting, EASTBOUND SR 64 travel lanes will shift to the temporary lanes constructed toward the median. On Thursday, May 17th, during the nighttime/overnight hours of 10 p.m. to 5 a.m., weather permitting, Exit 220 will open for all exiting northbound I-75 traffic to reach eastbound and westbound SR 64. Exit 220 B will be permanently closed. 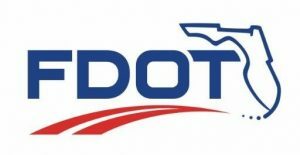 Motorists are advised that one lane closure in each direction on I-75 between will occur in the overnight hours between 8 p.m. and 5 a.m. throughout the duration of the project. The contractor anticipates implementing a temporary detour route at the I-75/University Parkway interchange at night/overnight Tuesday, May 1 through Thursday, May 3 between 11 p.m. to 5 a.m. to repair asphalt pavement. Motorists traveling on University Parkway wishing to travel north on I-75 are directed to enter southbound I-75, exit at Fruitville Road/Exit 210, travel east and enter northbound I-75 and continue north. Improvements being made as part of this project consist of constructing a diverging diamond interchange, adding an auxiliary lane on northbound and southbound I-75, constructing new bridges on I-75 over University Parkway, widening of University Parkway, widening of I-75 bridges over Errie Creek and Foley Creek, realignment of on-ramps and off-ramps at I-75/University Parkway, addition of ponds, drainage improvements, new lighting and signalization, construction of a noise wall on the west side of I-75, sidewalks, bike lanes, and pedestrian walkways. Expected completion is early 2018. The contractor is Prince Contracting, LLC. For additional information, please visit the project website at swflroads.com/i75/university. It’s not often that the First Lady of the state drops into Manatee County schools but it happened Tuesday. Ann Scott, wife of Florida Gov. Rick Scott, visited Willis, McNeal and Tara elementary schools as part of a statewide tour for Celebrate Literacy Week. While at Willis in Lakewood Ranch, Scott met Savannah Adams, a fifth-grade student who had written a letter to Gov. Scott last year as part of a social studies project. Students holding signs lined the walkway at McNeal, welcoming the First Lady. She was also given a tour by students, as they made their way to the media center. The First Lady’s new book is called “Ally & Jordi’s Adventures Through Florida,” which was named for her daughters. She spoke in detail about her family – and read a passage from the book to every class that she visited in Manatee County. The First Lady told the students that during this last year of the governor’s term in office, she will continue to focus on reading and literacy by visiting schools across the state.